In the first two posts of “Birth of a Book” (Part 1 & Part 2), I outlined some of the formative influences in my life which impacted my book, God Gives More Grace. I also detailed a bit of the process of bringing the book to life from a simple sermon from James 4 all the way to a 230+ page manuscript. In this final installment, I wanted to share how I connected with my publisher, and how God answered a very specific prayer. While working on my dissertation, I always had (in the back of my mind) the ultimate goal of seeing the work published. Honestly, it was for this reason I spent more time in preparation of the manuscript than I would have needed to otherwise. While defending my dissertation before the committee in March 2017, I asked the men what they thought about the manuscript. After assuring me that it was good, I pressed a bit further wanting to find out their honest opinions on whether the manuscript was publish worthy. They strongly encouraged me to make every attempt to find a publisher for the book, stating that it could be a tremendous resource for believers today. In our discussions, one of the men passed along the contact information of a fellow seminary student who also worked for Regular Baptist Press. Over the next number of months I did not really concern myself with attempting to find a publisher for the book. In addition to getting ready for graduation in May (2017), our family was in the middle of a major transition. In the summer of 2017 I accepted the call to serve as the Director of Haven of Grace Seminary in the Philippines. During that summer, and into the fall I transitioned from the pastorate of Emmanuel Baptist Church (Millville, PA) to raising support for the work God had called us to. During this period of transition I took a solo trip to the Philippines, and then our family took a three week survey trip there from the middle of August into September. Your query letter – This is the initial letter you send to the literary agent or publisher trying to capture their attention–most agents and publishers don’t read past the query letter itself. A One-Page Sell Sheet – This basically gives an extremely brief overview of your book (i.e. the title, word count, tagline, what the “back cover paragraph” might look like, as well as your abbreviated biography). In-Depth Biography and Description of the book – This provides more detailed biographical information, in addition to a more in-depth description of the book. Chapter Outline – In this section the author writes a one-paragraph summary of each chapter making sure to highlight the main points and flow of the book. Since my book is 17 chapters long, I had to craft 17 stunning paragraphs communicating the contents of the book. Market Analysis, Competitive Analysis, & Marketing Plan – The author is to “pitch” his book and explain why it will succeed among the thousands of books published each year that flounder on the marketplace. He also notes other books on the market that are similar to his, what makes his book unique, and how he will be able to help his book succeed (with the platform he has already established). Three Sample Chapters – Finally, the author submits three sample chapters for their review. Generally these chapters include the introduction, along with two chapters of the author’s choosing. Preparing a book proposal is a daunting task in and of itself, but by the late summer and early fall I was able to craft my book proposal, and send it out to a select number of literary agents and publishers. In total, I emailed my proposal to about a dozen literary agents or publishers from the summer of 2017 into the spring of 2018. Some may wonder, why would you send your manuscript to a literary agent anyway? Why not just send it to a publisher? Well, the way traditional publishing works today, many publishers will not accept unsolicited manuscripts or book proposals. So, for many publishing houses, the only way to get them to even look at your proposal is to go through a literary agent. For the most part, if you are accepted with a literary agent, your book will be published. Literary agents will only accept a work they have a good hunch will land with a publisher. They only get paid if the book gets published. So, when I sent my first proposal out to a literary agent, I impatiently waited to hear back. Most agencies and publishers tell you not to expect to hear back from them for at least 8 weeks. If you don’t hear back from them after 12-16 weeks you can assume that they are not interested in your book. Amazingly, after sending out my first book proposal, I heard from the agent within 24 hours. In his response, he said that my proposal, and specifically the topic of my book, caught his attention, but unfortunately he was not taking on any new projects and therefore would not be able to represent my book. That email was a mixed bag. Even though I was disappointed not to have connected with a literary agent that I thought fit me pretty well, I was encouraged to know that the topic of my book generated some interest, and he liked my proposal. But after sending a couple more proposals out, and then hearing back from one agent in particular, I began to recognize the need to establish and broaden my platform. It was at this point it became apparent that breaking into the book scene was not going to be easy. Although not impossible, it is extremely difficult for a first time author to find a traditional publisher for their book. If you don’t think so, just ask anyone who has written a book and tried to get it published! Now, an author can, of course, go the self-publishing route, but that was something I wanted to avoid, if at all possible. There are some limited benefits to self-publishing, but for me, I really wanted to go the traditional publishing route. The main reasons were: 1. The ability of a traditional publisher to market my work. 2. The resources a publishing house possesses to prepare the work for publication (i.e. editors, graphic artists, promotional team etc.). 3. The external affirmation that the work was capable of standing on its own merits. So, by the first part of 2018, I still had only sent my book proposal to 8 or 9 publishing houses or literary agents, but from everything I had read (reinforced by the responses I received), I knew landing with a publisher was going to take a work of God. One blogger noted that 90% of proposals are rejected before the publisher gets to the end of the query letter, and 98% are rejected by the end of the first chapter. A minuscule percentage make it through the first battery of tests only to fall before the weekly “board meeting” where all the potential new manuscripts are “pitched.” If it survives the first meeting, it then goes through another, more in-depth analysis to determine whether it will be a worthwhile investment for the publisher. Once all of the data has been collected, and editors and publishers get a chance to review the manuscript, the book makes it to a second, final board meeting where its fate will be decided. If the book is still standing after this meeting, a contract is offered to the author, and the book begins its long journey toward publication. I share a bit of this process to highlight some of the hurdles in landing with a publisher. Although a person’s chances in getting published are better than one in a million, when you are in the middle of the process, the prospects appear pretty dim. In spite of the odds stacked against a first-time author’s book, however, God continued to burden my heart with this desire to see God Gives More Grace published. I really could not explain it, but there was this burning desire that just wouldn’t go away. So, in January, I began praying earnestly that, if it was the Lord’s will, my book would land with a publisher. In February 2018, I sent an email to David Gunn, the fellow seminary student who worked at Regular Baptist Press. From the time I first received his contact information in March 2017 to the point I sent him my book proposal, David was promoted as Director of the Press. Of course, after sending my proposal, I had to just wait. Yet, God continued to constantly bring my book to my mind and heart. I prayed for God to open the doors that only He could open. 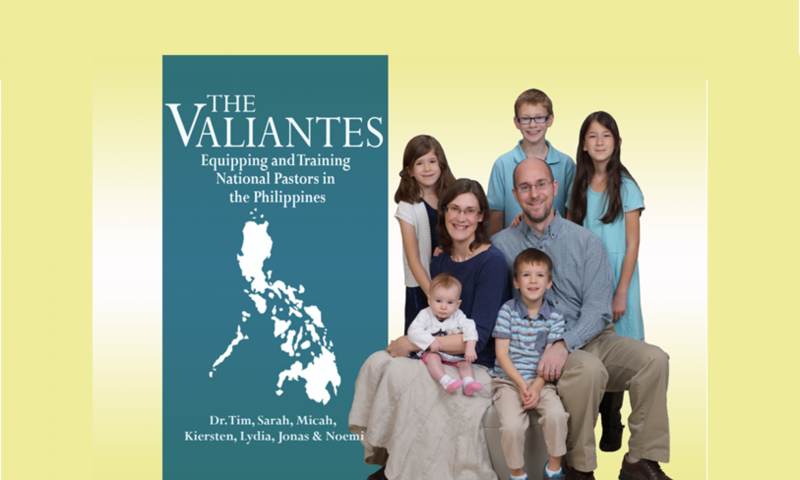 Our family began to pray together that the book would be published. Sometime in late February, I began praying that the Lord would answer our prayers and that I would specifically hear some positive news about my book before April 1. As the end of March approached, our family continued to pray. This year, Easter Sunday was on April 1, so when Thursday, March 29 came and went (without hearing any news), I admit, I was feeling a bit dejected. I thought, “No one is going to send a response on Good Friday, and the likelihood of hearing something over Easter weekend was slim to none.” So, I resigned myself to accepting the fact that God’s response to this specific request was either, “Wait,” or “No,” and that God would give me grace for either answer. But, to my great surprise, on Saturday, March 31, I heard an email alert notification on my phone. Now, I have three or four main email addresses I use, and all but one come into the same inbox. That particular inbox has almost 30,000 unread messages and I probably receive a dozen (primarily junk) emails every day. But the other email address is used exclusively for ministry, and is completely junk-free. And when I heard my phone ding, I could tell I received an message in my ministry email inbox. As I offered one final prayer to the Lord, I checked my phone and saw an email from David Gunn. After offering a warm greeting I read the words, “I am pleased to report…” It was at this point I knew God had answered our prayers. David said that the New Products Committee had conducted their initial review and was very interested in publishing my book. He said, even though they were not yet at the point of officially committing to the project (it would have to go through an additional cost-profitability analysis), the prospects were very good. At this stage I was instructed to send the full manuscript… and then I had to wait… again. From the end of March, I waited until the early part of August before hearing anything further. Four months seems like a long time when you are waiting. But, in the early part of August, I received the official word that Regular Baptist Press wanted to publish God Gives More Grace. I received the contract, and in our travels out West, I was able to sign the contract at the Regular Baptist Press Headquarters in Arlington Heights, Illinois. This journey has highlighted God’s goodness, His answers to the prayers of His children, and ultimately His grace in my life. I look forward to the publication of God Gives More Grace, and pray that as a result believers will be strengthened as we seek after and enjoy the grace of God.